is it a desk or a vanity? (what does it matter?) 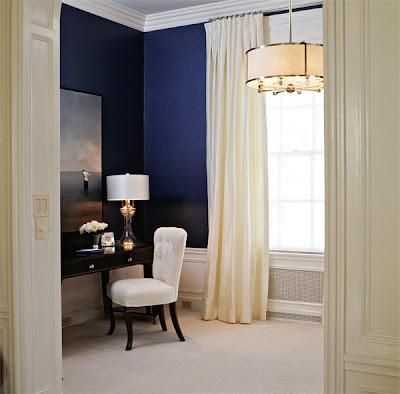 the navy walls, crisp white moulding, shiny lamp, dark desk, and swiss dot chair in this glamorous space have me swooning. p.s. all you interior design junkies are sure to love the giveaway going on over at peppermint bliss: not one but two chances to win a lucite tray from iomoi! bailey is the bomb dot com and her new interior design venture is going to rock. can you tell i want to win?! Stunning! 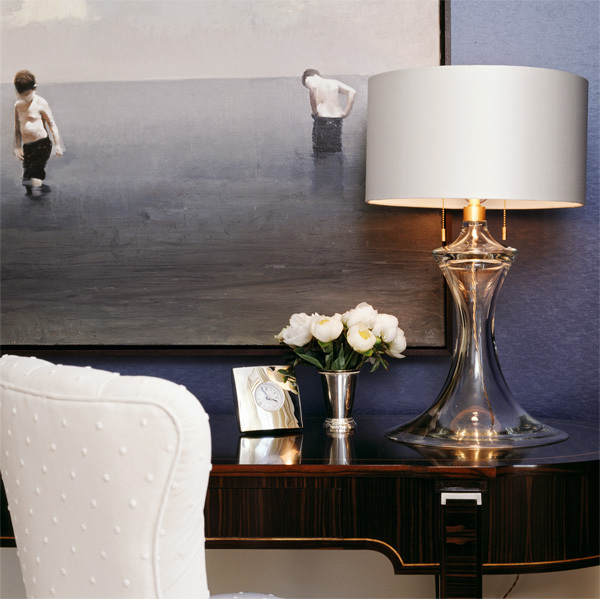 LOVE the navy and white and the chair with the textured dot! HA ... send it straight over! such a statement. and as you know one of my new fave colors. i have joined the bandwagon for navy walls. now i have to figure out what to do with the navy curtains i just bought since i thought i was painting the room brown! so pretty. the dots on the chair and those white flowers are my favorite part. I'm absolutely loving that room! The colours. The colours, the pretty desk (which I would use for writing letters), the lamp etc. Beautiful! I still love that room...wish I could go to the showcase this year! 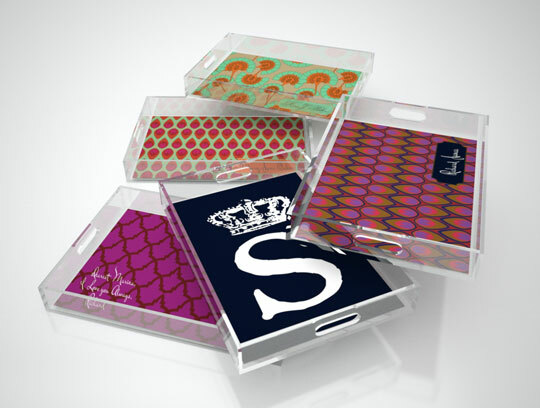 Would love to win a tray from iomoi. I need to get over to Peppermint Bliss! the wall colour is just fabulous & the room is spacious and well lit :) beautiful post & blog, i'm going to follow you!